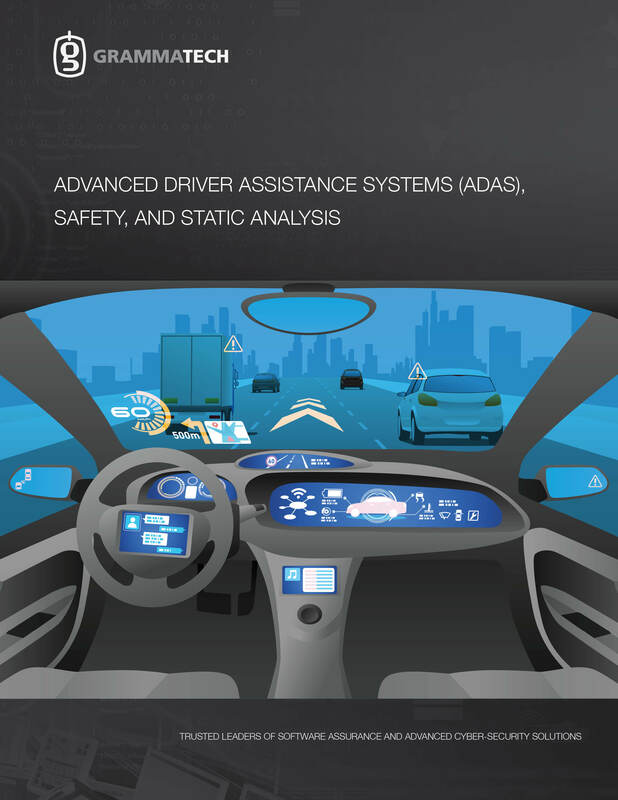 Advanced Driver Assistance Systems (ADAS) are a key area of innovation in automotive electronics, but their potential improvement and positive impact on safety can only be realized if they undergo the same level of rigor as other safety-critical software. ISO 26262 defines the guidelines for designing and building safety functions in automobiles, including the role of static analysis in developing software to the standard. This paper discusses the role of static analysis tools within the development of an ADAS system, including the return on investment (ROI) for adopting them. More bugs found. More lives saved. More hacks prevented. Copyright 2019, GrammaTech, Inc. All rights reserved. | CodeSonar and CodeSurfer are registered trademarks of GrammaTech, Inc.